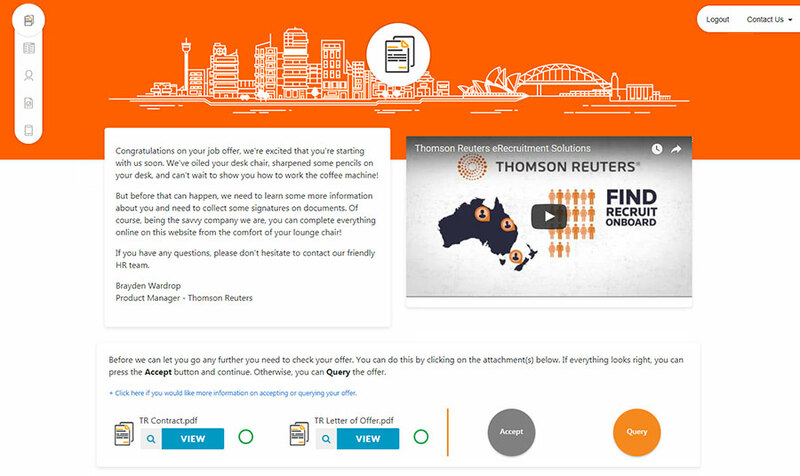 Thomson Reuters Onboarding Solutions simplifies the process of onboarding a new employee or transferring existing employees. The system pivots around streamlining onboarding stages; from managing approvals, building contracts, online/mobile acceptance of paperwork, and a sophisticated notification centre. 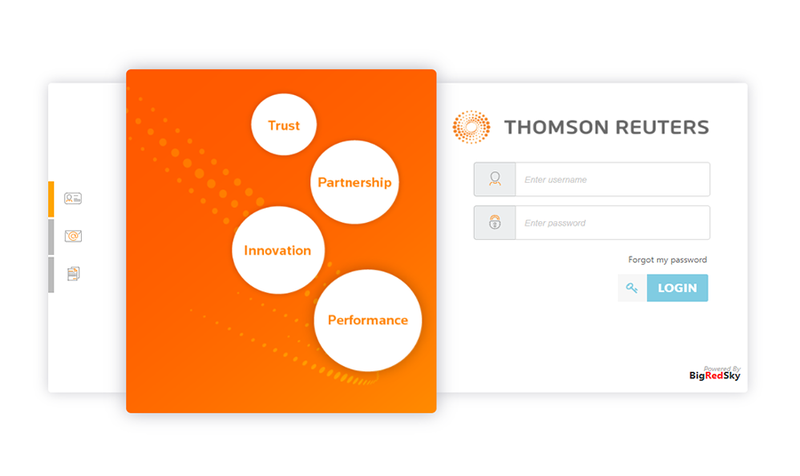 Powered by Thomson Reuters BigRedSky, Onboarding Solutions facilitates transparency and compliance, while streamlining interactions between HR, People Managers and new/existing employees. A fully branded onboarding experience from the login page. Contemporary and intuitive design for viewing and accepting employment offers, respecting company branding. HR professionals can reduce the processing time required to build and send new starter paperwork, track all commencing employees on the dashboard and access clearer metrics on recruitment and onboarding activity. Manage the process of onboarding a new employee or transferring existing employees on an entirely paperless system. Organisation contracts are built automatically, available for HR to check before being released to the new starter / transferring employee. New Starters sign contracts and policies electronically, and complete their tax file declarations and super forms online or on a smartphone. Collect new employee data, manage approvals and transfer data to payroll/HRIS electronically.